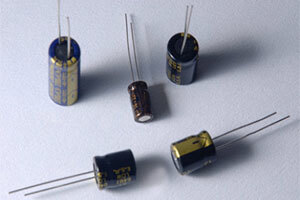 Taiwan Weikai Technology Co., Ltd., a well-established professional capacitor manufacturer, specially has experience in manufacturing SMD Inductor. We offer wide-ranges of SMD Inductor kinds, including air coil inductor, wide band choke, line filter, luminous OSC coil, common mode choke, SMD power inductors, linearity coils, choke coil, co-axial inductor, SMD wiring chip inductor, SMD multi-layers inductor and more. Be a professional capacitor manufacturer, our innovative R&D teams continuously develop and research the latest technology to improve our SMD Inductor process and can customize what kind of products you need. Besides, we promise that we only provide high quality SMD Inductor to our clients. If you are looking for high quality SMD Inductor, please do not hesitate, just contact us now.